HTTP status codes are three-digit numbers that provide Web browsers with information about the page's status. You might see some of these errors while browsing the Internet, or you might have received them in your own hosting account. The Web server couldn't parse a malformed script. Most often, programming problems cause this issue. You should talk to your developer or software provider for help resolving this issue. 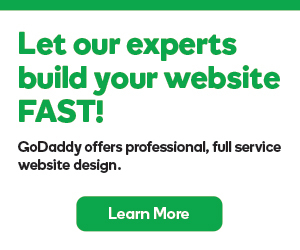 If you receive this error with a GoDaddy Hosting Connection® application, contact our support department. This page requires a user name and password to access it. If you try to access it without it, you get a 401 — Authentication Required message. Forbidden errors display when somebody tries to access a directory, file, or script without appropriate permissions. For example, if a script is readable only to the user and others cannot access the file, they'll see a 403 error. Invalid index files and empty directories can also cause 403 errors. For more information, see one of the following articles based on the type of hosting account you have: Web & Classic / cPanel / Plesk. If visitors access URLs that don't exist, they receive 404 errors. The cause can be anything from invalid URLs, missing files, or redirects to URLs that no longer exist. This is a very general error that means there's a problem with the website displaying, but the details aren't readily available. Invalid .htaccess files, or invalid rules in them, commonly cause 500 errors with Linux® hosting accounts. With Windows®, it's most commonly invalid requests through a web.config file. Linux — Review your Apache® error logs.